No Words necessary Just Watch! 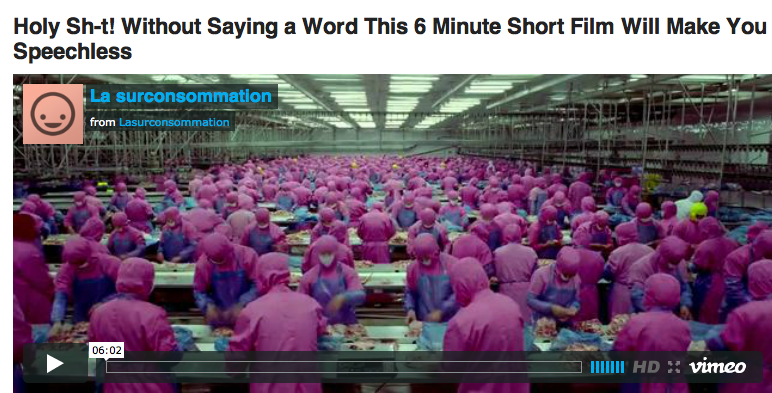 Click here > This 6 Minute Short Film Will Make You Speechless! This entry was posted in balance, birds, cleanliness, consciousness, cosmic laws, empowerment, energy, enlightenment, health, hygiene, intelligence, Spiritual and tagged consciousness, consumers, Filmmaking, gluttony, masses, matrix, meat, meatless diet, Movie, nutrition, overweight, prisoners, vegetarian on 18/08/2013 by mkirtikarphd.